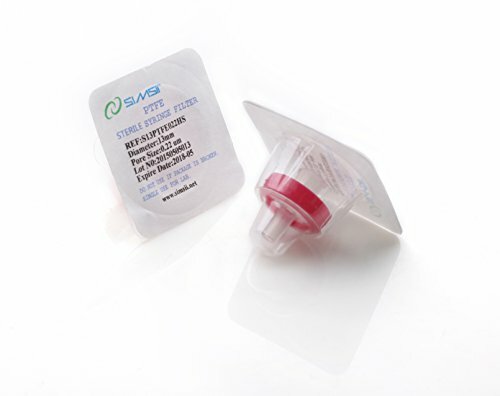 The Barnant 246800 syringe filter holder accepts 25mm filter discs (sold separately) and is suitable for use with syringes (sold separately) having a Luer-type fitting. 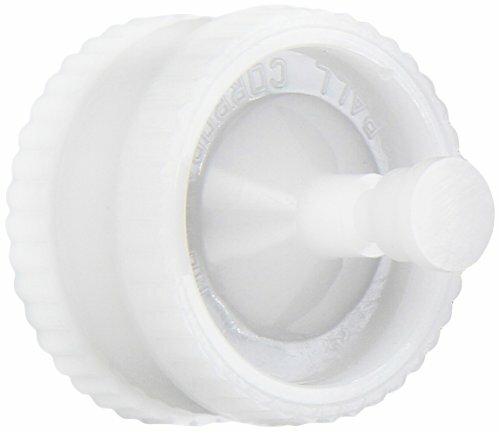 The filter holder is made of Delrin plastic with a 316 stainless steel membrane support screen and filters up to 10mL of sample.Thermo Fisher Scientific manufactures analytical instruments, laboratory equipment, consumables, and software under the Thermo Scientific, Fisher Scientific, Barnstead, and Nalgene brands, among others. The company is headquartered in Waltham, MA. 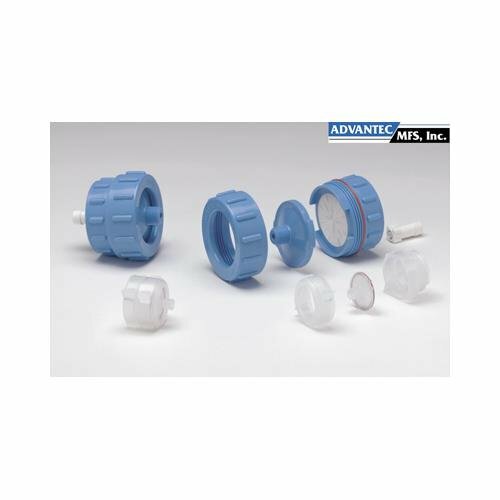 Thermoplastic polymer Polypropylene (PP) lends to this units durability and compatibility with a wide range of chemical solvents and temperatures. Exterior locking ring design allows unit to be assembled quickly and efficiently without tearing the membrane or removing from lines. Body and support screen material is PP. Units come standard with silicone o-rings. Replacement parts and alternate o-rings in FPM and EPR materials are available. Inlet: Luer-lock. Outlet: Luer slip. Use hand tightening only. Autoclavable. 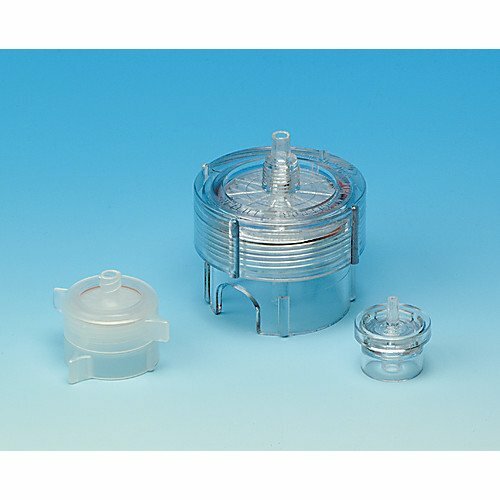 These Pop-Top plastic membrane filter holders are designed for microfiltration and ultra cleaning of small volumes of liquids using positive pressure. They easily accommodate Nuclepore track-etched and cast membranes. Polycarbonate holder. 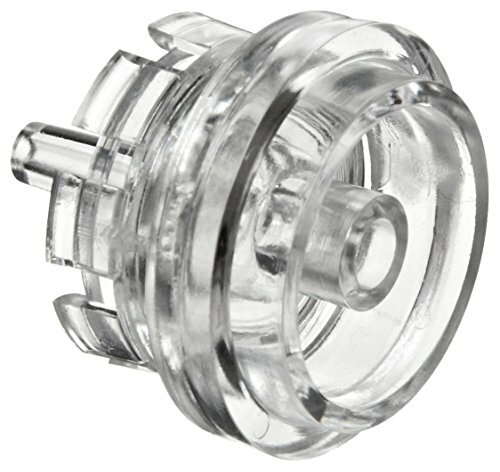 Male luer slip-fit cap with a female luer slip-fit base. Membrane: 13mm. Prefilter: 10mm. Filtration Area: 0.8 sq cm. Size: 2.7OD x 2.7H. 10/Pack. Whatman #: 420100. Characteristics: Hydrophilic; High flow rates; Low protein binding; Low concentrations of extractable substances; Excellent chemical stability; High thermal and oxidative stability; Applications: PES is certified for ion chromatography; tissue culture filtration; filtration of proteins and nucleic acids. Widely applied in the biotechnological industries for the purification of enzymes and peptides. Use to ultraclean or sterilize small volumes of liquids dispensed by syringe. Connect Swinnex 47?mm filter holder with tubing to pressurized reservoir or automatic filling machine for filtering larger volumes. These Swin-Lok plastic membrane filter holders are designed for microfiltration and ultra cleaning of small volumes of liquids using positive pressure. They easily accommodate Nuclepore track-etched and cast membranes. Syringe compatible. Polypropylene holder. 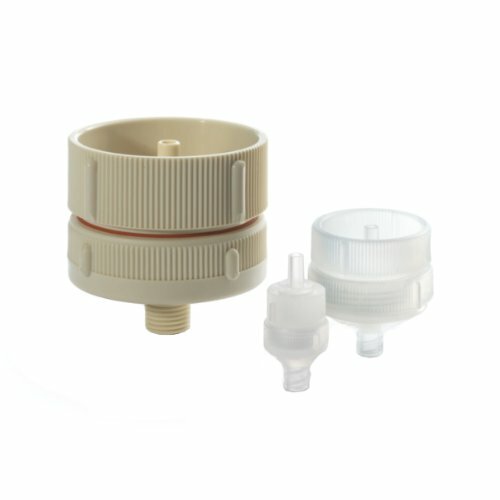 Female luer-lok cap with male luer slip-fit base. Membrane: 25mm. Prefilter: 22mm. Filtration Area: 3.9 sq cm. Size: 3.5 OD x 3.7 H. 10/Pack. Whatman #: 420200. Ideal for HPLC solvents and sample filtration; A choice for the filtration of chemical or hot air; It is Suitable for filtering strong acids, bases, aggressive solvents, etc. 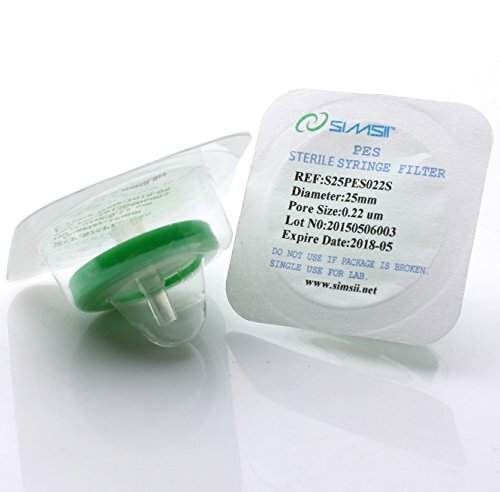 Looking for more Syringe Filter Holder similar ideas? Try to explore these searches: Dyed Baseball Hat Caps, Chicago Cubs Peel, and Apple Sours. 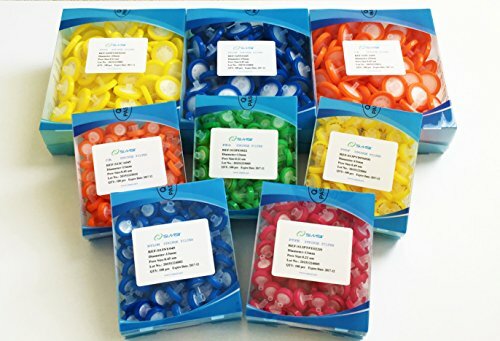 Shopwion.com is the smartest way for comparison shopping: compare prices from most trusted leading online stores for best Syringe Filter Holder, Flavored Wood Smoking Chips, ac3 Converter, Holder Filter Syringe . 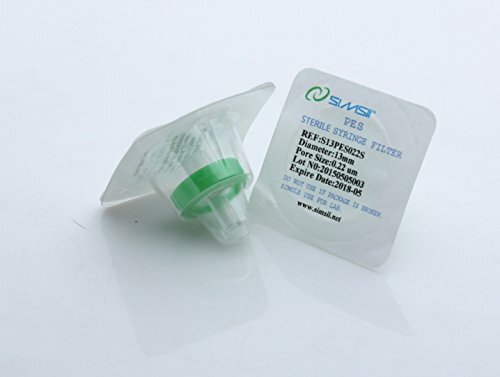 Don't miss this Syringe Filter Holder today, April 20, 2019 deals, updated daily.